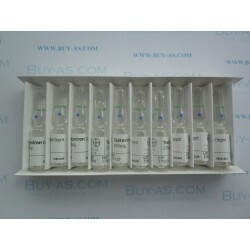 Package: 1ml amp (250 mg/ml). 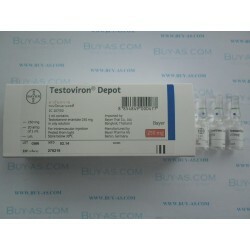 Testoviron Depot by Bayer, is an injectable steroid which contains 250mg per ML of the hormone Testosterone Enathate. 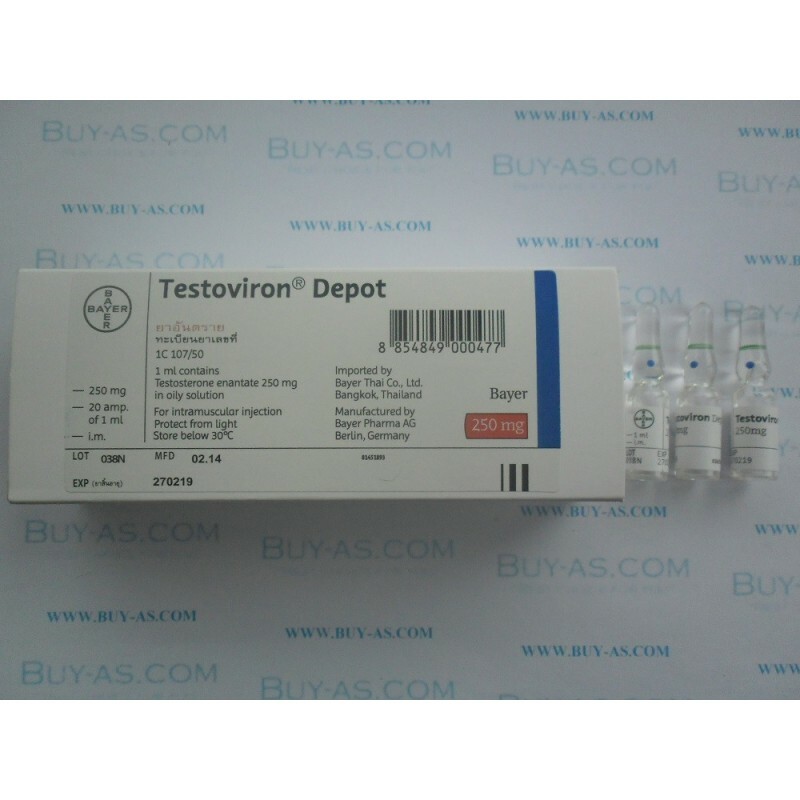 The Enathate ester of this drug makes its release slow and therefore is requires injections to be less frequent than they would be if a bodybuilder using Testosterone propionate. Athletes using this steroid often find that a twice weekly injection schedule, such as Monday/Thursday, is very sufficient for maintaining steady blood levels of the hormone. 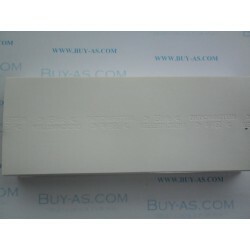 Testosterone aromatizes very easily and therefore estrogen buildup and side effects can become an issue for users sensitive to these problems or those choosing to use a high dose of this compound. Therefore, when using Testosterone, bodybuilders often choose to incorporate an anti-estrogen such as Arimidex, Proviron, Nolvadex to help keep estrogen related side effects to a minimum. Bodybuilders looking to bulk up, often stack Testosterone with other steroids such as Deca Durabolin and/or Equipose, along with an oral compound such as Dianabol or Anadrol 50. Those Bodybuilders looking to use testosterone during cutting phase, might wish to stack it with compounds such as Trenbolone along with an oral like Winstrol or Anavar. Testosterone use will quickly shut down the body's natural production of the hormone, thus making a proper PCT plan essential for restoring the body's natural function and maintaining gains as best as possible after use of the steroid has been discontinued. At cycle's end, bodybuilders often choose to use a combination of Clomid, Nolvadex, and HCG for a period of 3-4wks in order to restore pituitary gland and testes operation quickly and effectively. The male bodybuilder's dosage of this steroid would typically be in 500-1250mg per week range and cycle duration would be from 8-20 weeks, depending of course on the goals of the athlete.